The free block for April is posted and the Newsletter for April has gone out. Did you get my newsletter? If so then you already received your free Bonus Block and half price pattern offer. 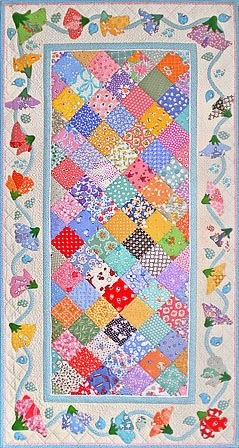 April Sweet Pea Half Price Pattern. What, you don't get my newsletter? Geez just fill in your email and click subscribe! I will send it out on the 15th again so you won't miss your free blocks. So down on the farm this girl has been busy. You were right. . . those of you who said I would be busier retired than I was working. Yup, sure is true. I have had some great trips to speak to some wonderful guilds. The Ladies in El Paso totally rock and I so enjoyed my time with you. Then I had a much needed quilt retreat in the Arkansas Ozarks which gave me time to work on a new project. Sorry, no peeking until it is done. 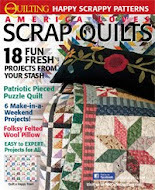 Watch for a new pattern coming in the June issue of The Quilt Pattern Magazine. Last week I was in Washington DC to attend the Creative Arts Business Summit with Morna McEver Golletz. What a fabulous experience that was! 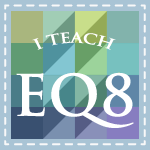 This week I am so excited to be attending the first ever EQ Academy in Ohio to get totally edumakated in using EQ Stitch embroidery software. 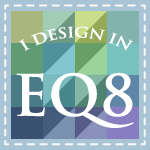 I can't wait to be inspired by all of those EQ7 Geeks at the Electric Quilt Co. What a dream come true! I'll let you know how it goes.